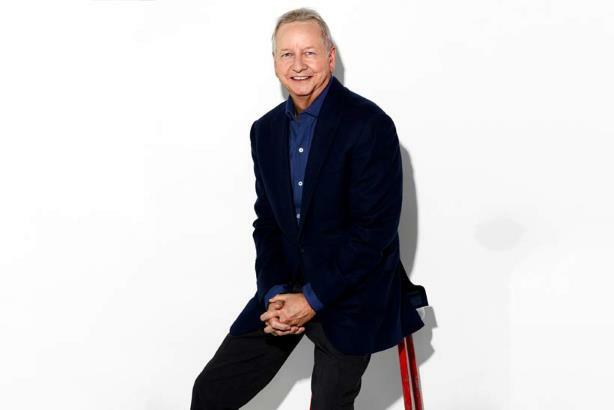 Ogilvy is ditching Mather, introducing a new corporate identity and cementing months of streamlining with a simplified organizational structure that chief executive John Siefert says will "build a new model for our industry." The company leadership, under Siefert, will take the form of a global partnership structure designed to "ensure that the diversity of our leadership – across markets, capabilities, and generations – better represents our brand for the greater good of the company today and tomorrow." Employees will be connected via a new knowledge-sharing, professional development, and community-networking tool called Connect and the company website has been rebuilt to reflect the idea of One Ogilvy. 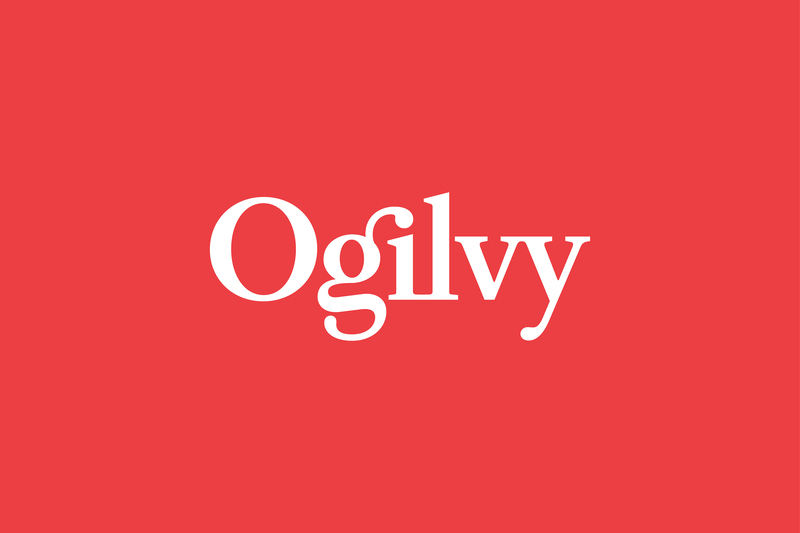 To underline the new direction, Ogilvy’s red logo has been modified with a brighter Pantone and a secondary palette of gray, pink, blue, and yellow has been added "to emphasise the company’s desire to modernize, while maintaining, its strong heritage." The Ogilvy fonts have also been recut and customised as Ogilvy Serif and Ogilvy Sans. The changes have been described as a "refounding" of the WPP-owned global network that was created in 1964 when the New York ad agency founded by the British businessman David Ogilvy merged with the London advertising agency founded in 1850 by Edmund Mather. Tham Khai Meng, chief creative officer, The Ogilvy Group, said, "We are building on the creative heritage of David Ogilvy to fuel our future. Our creativity is the foundation of Ogilvy’s global network and the most powerful competitive advantage that we have. " Here’s the way I’m thinking about it: we are a reflection of our clients. 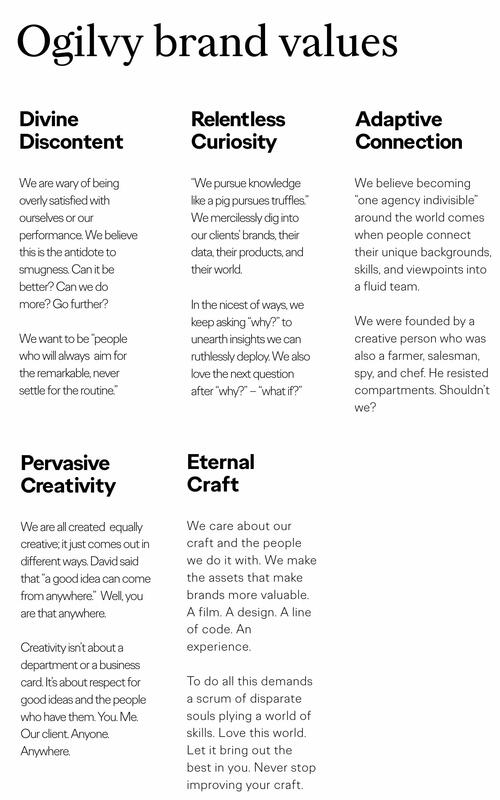 So what I’m saying to clients is "Ogilvy wants to be a brand that you trust to look at the totality of your brand needs with the most holistic and integrated mindset possible. 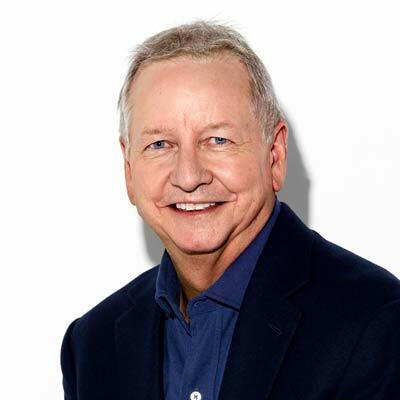 We don't ever want you to feel that when Ogilvy is sitting across the table from you, we are trying to sell you something that it as the expense of thinking about the totality of your brand and its needs. There’s definitely a move away from time based cost models. We’re moving more and more to either task based or outcome based models. It’s extraordinary to me the number of competitive reviews from the last year where you’ve had clients bundle together a whole bunch of asks: "show me how you link media, data, content, brand strategy, performance marketing. I want a completely integrated view of the whole modern marketing agenda for our company. Oh and, by the way, I want that to cost 25% or 50% of the totality of what we’re spending on all this stuff today." My hope is that they start to feel the rationale behind everything that we’ve been doing structurally and start to see it in a much larger, more emotionally compelling context. I hope the penny drops, where people can see the manifestation of the softer aspects of the organization – purpose, culture, values, behaviours, point of view on who we are, and why we matter – and they can say, "oh, now I understand why we’re going to integrated teams on bespoke client requirements" or "now I understand why i should be less worried about positioning myself in the hierarchy of a department and more open to how I develop my craft so that, if I’m a writer or a designer, I’m more comfortable doing my work in an age of digital transformation." That’s what I’m counting on, that this just puts a much more fun, emotionally rewarding set of parts on the table that people can use to make sense of what has come before. Here, to be honest with you, is the reality: I could not be more appreciative of – it hasn’t been 100% - but 98% of the leadership team I inherited when I took on this role have been nothing but supportive and have contributed enormously to where we are. You say you’re "refounding" the company. How important is the legacy of David Ogilvy to the changes you’re making?